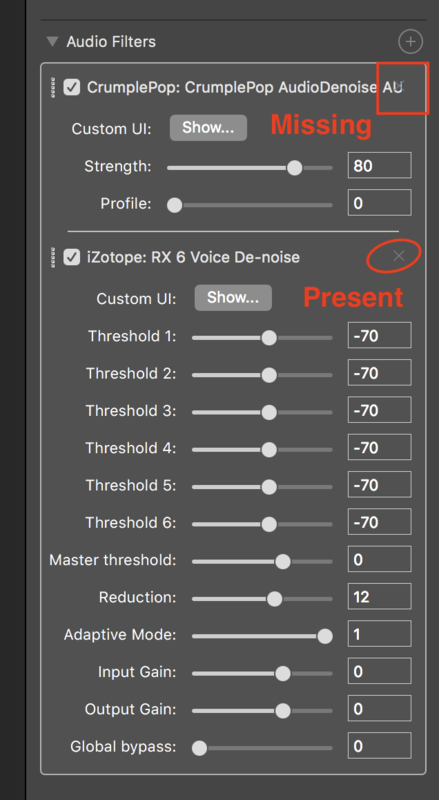 Audio filter name obscures the delete X in some cases. Clicking in that area does not remove the plugin. Do you have an example of a free AU that shows this behavior? Rory Maloney You can download the free trial of CrumplePop Audio Denoise if that helps.